Forget eggs #Easter and think #Bakedbeans, that’s the message from one of the most unusual museums in the world, in Wales. 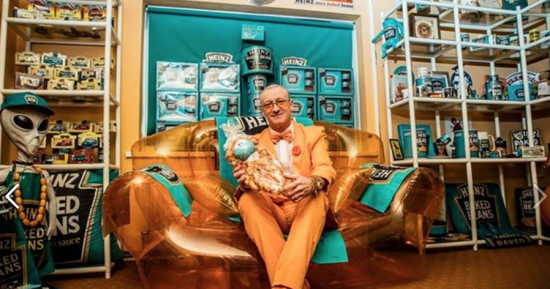 The Baked Bean Museum of Excellence is the beanchild of #CaptBeany and he’s created it over three decades in Port Talbot. He started out by raising money for charity sitting in baths of baked beans but saw the potential for more than a wind up. “Although there are a lot of Heinz products displayed showing how the packaging has changed over the years, there are also sections on other canned baked beans and it just grew and grew with items from around the world,” he said. So TakeMeToWales would like to toast the success of this entrebeanhere.